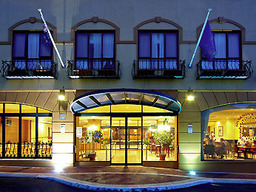 SwanCon 2013 will be held at the Ibis Styles Hotel (formerly the Acacia and All Seasons Hotel), located at 15 Robinson Ave, Northbridge. Between 2006 and 2010, the Ibis Styles hosted five excellent SwanCons and the 2013 committee is excited to be returning to this much loved venue. You can contact the hotel on 9328-0000. For directions and info on parking at and around the hotel, please see this guide. Unfortunately the Ibis Styles Hotel Perth is now FULLY BOOKED for Friday, Saturday and Sunday nights (29-31 March). The Governor Robinsons (next door) is also Fully Booked over Easter. Listed below are some nearby alternatives. The Swancon Committee does not endorse these hotels and we advise members to make their own enquiries using review sites such as Trip Advisor.